Jo of Darn It and Stitch knows how to put together a good looking shop! I’m so impressed with how the OKY yarns look. 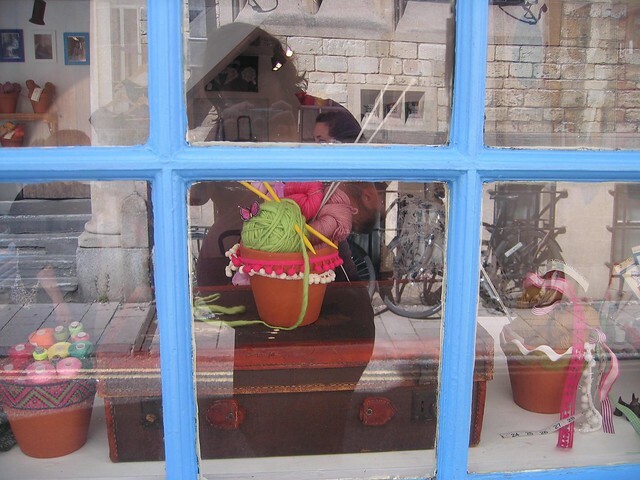 Taking photos of shop windows is tricky – you’ll just have to take my word for it that there is some OKY yarn in the window. However it does give you the oppertunity to see how big the bump has got. Yes. Huge. 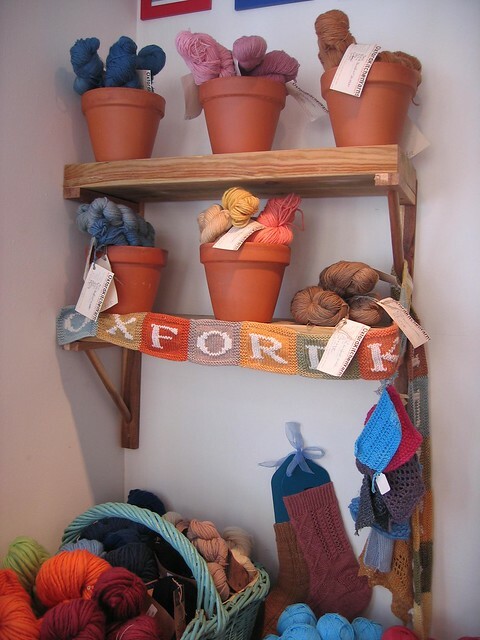 Anyway if you’re in Oxford and you want to see OKY yarns in the flesh, this is the place to go. Which makes me very excited because it’s a wonderful shop.